Expected ship date Tue Jul 23 2019. Step Through the Looking Glass Into a New World of Overdrive. Dial in the ideal reflection of your sound with a set of powerful, yet simple controls. You can keep things simple and use the Looking Glass for tone shaping, glassy boost and light overdrive, or go further down the rabbit hole into the raw, psychedelic sounds of a vintage amp pushed to the brink of failure. 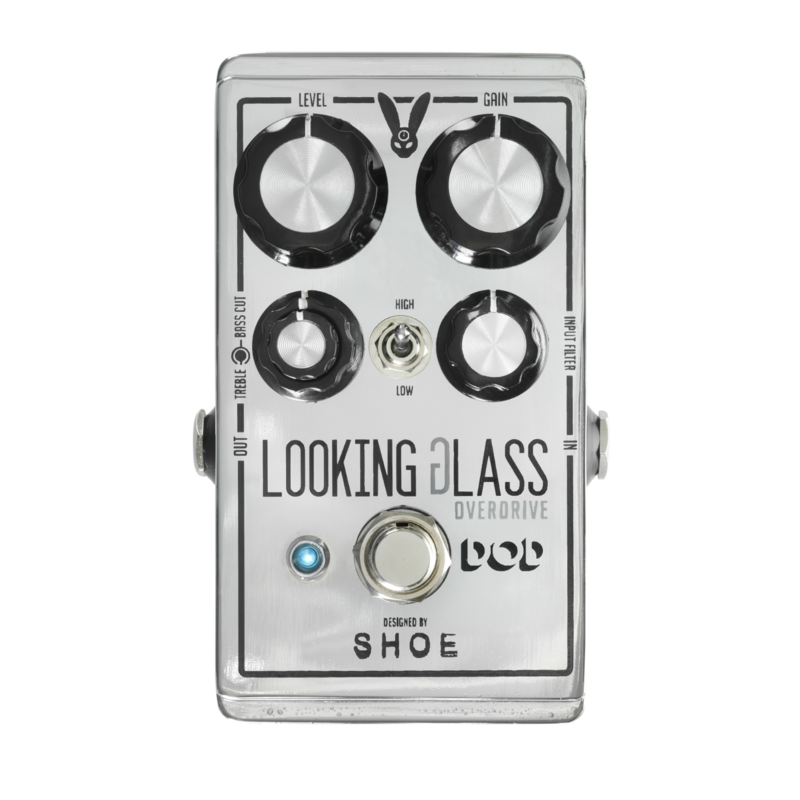 Featuring a new hybrid of Class-A discrete FET design, the Looking Glass’ asymmetrical clipping is so responsive that it can go from one end of the spectrum to the other with not only a flick of a switch, but with pick attack alone.The Looking Glass Overdrive is collaboration between DOD and the boutique pedal company SHOE Pedals. 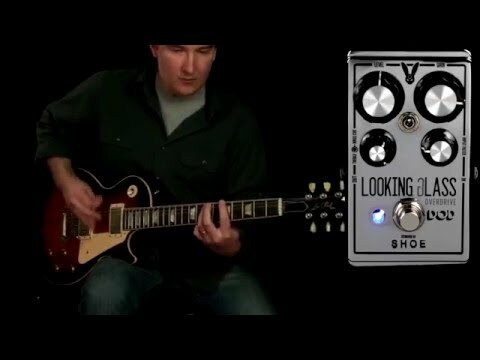 Christopher Venter of SHOE Pedals is known for his unique circuits, colorful perspective on classic effects, and minimalist design aesthetic. 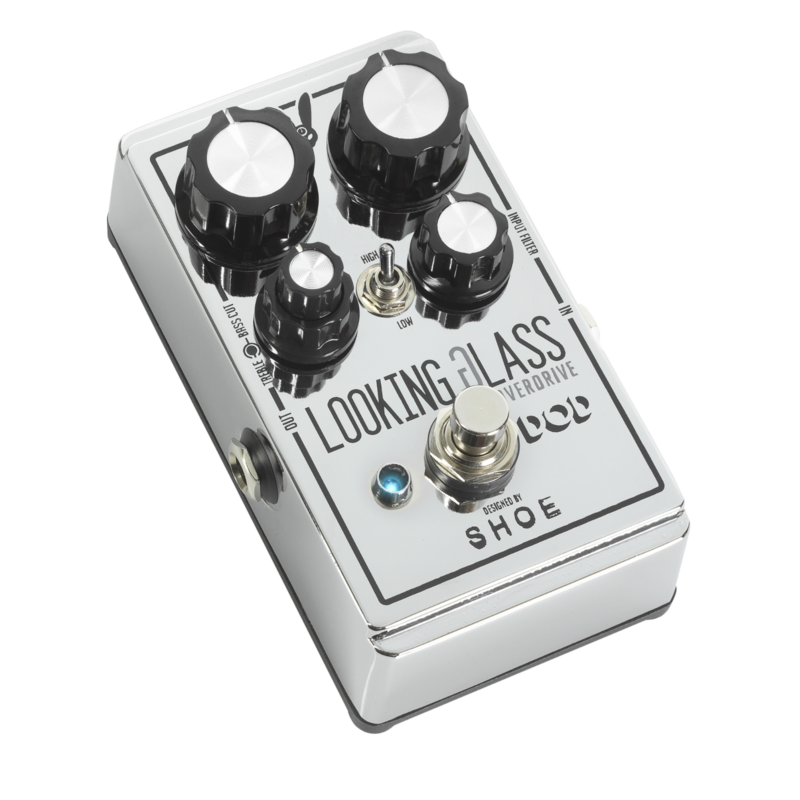 Built for maximum versatility, the Looking Glass’ unique Input Filter feature allows the player to tame overly bright guitars and interacts with your guitar’s pickups to help you cut through the mix without shredding the audience’s ears. The versatile, intuitive pre-drive Bass Cut and post-drive Treble controls allow you to retain clarity in the mix or dial in any raunchy raw tone you desire. And, there’s enough output and gain on tap to make even the Red Queen lose her head. 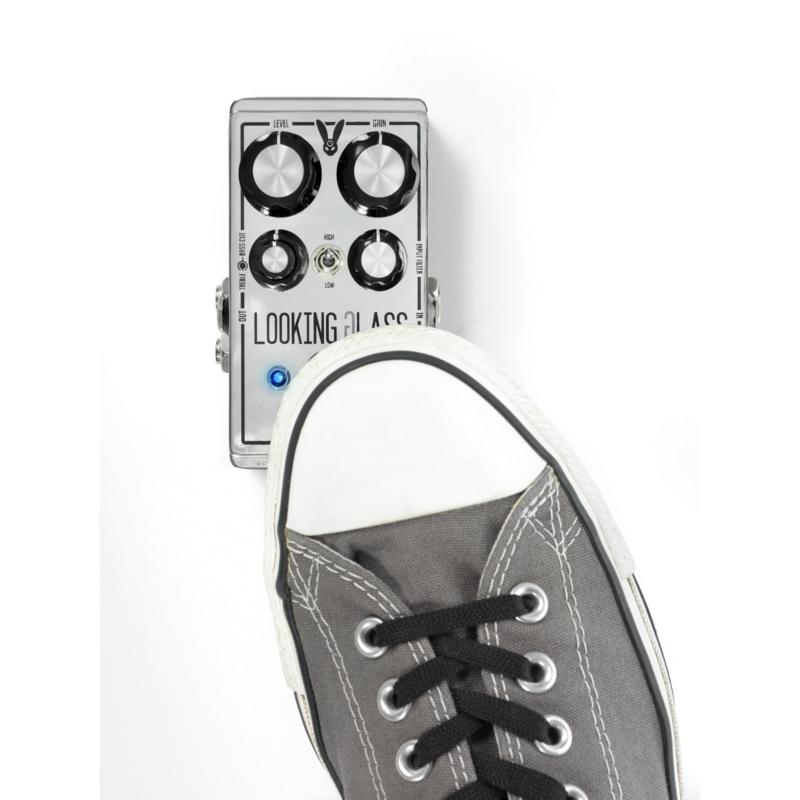 The Looking Glass is true bypass, which allows your guitar tone to remain pristine even when the it is off and the power supply input makes it pedalboard friendly.